Fueled by rapidly advancing digital platforms, today’s workforce and work spaces continue to evolve and adapt to maximize innovation, productivity, teamwork and speed. And while legacy barriers to communication and virtual teamwork can disappear when organizations embrace the future of work, significant obstacles remain. Critical communications, collaboration and teamwork technologies are often difficult to integrate and are highly interdependent for reliability and success. Moreover, a well-planned and implemented shift to modern tools and work spaces might operate with efficiency when elements are well-woven, but all will be irrelevant if not accompanied by well-guided cultural adaptation and ongoing management sponsorship and nurturing. How are organizations adapting to and planning for the future of work? What technologies and strategies are evolving to maximize productivity and workforce satisfaction? And where are other organizations finding success with modern technologies and work spaces? 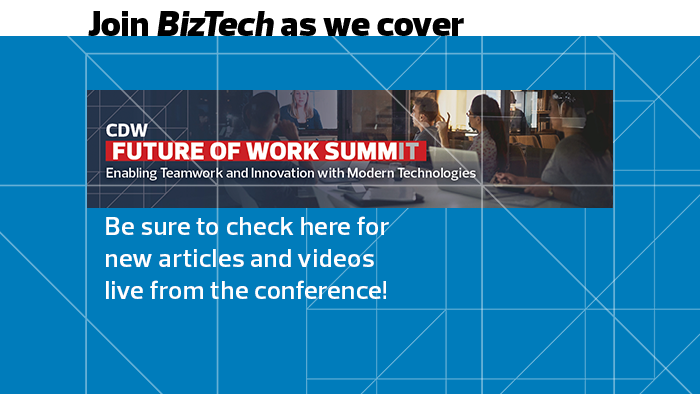 The CDW Future of Work SummIT will bring together experts who can answer these questions, addressing up-to-the-minute trends of where today’s workplace technologies are headed and why they’re critical to success in today’s innovation and teamwork-driven business environment. 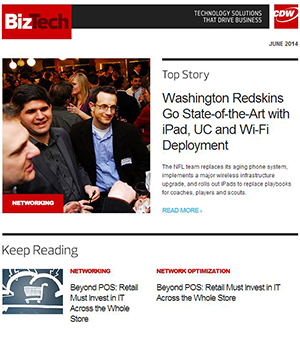 Join BizTech as we cover CDW's Future of Work SummIT from April 8-9 in Atlanta.